If you are like me and love the behind the scenes aspect of films as much as you love films themselves then you are doing yourself an absolute disservice by not watching The Hollywood Reporter’s great Roundtable videos. It’s essentially like watching a podcast being recorded, if the podcast had nothing but the absolute finest that Hollywood has to offer chatting away instead of some of the folks from the local media outlet. We’re talking talent like Emma Stone, Jessica Chastain, Jennifer Lawrence and more. 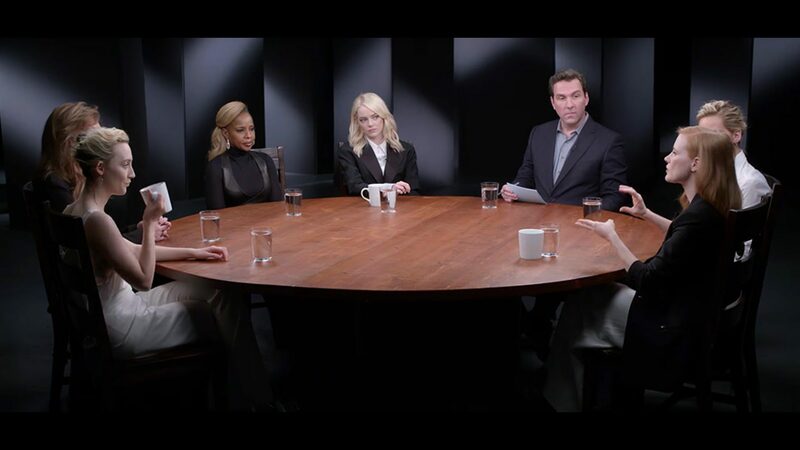 I absolutely love watching these, especially when The Oscars roll around and you great insights into the industry and the process, but this year’s Actresses Roundtable brings something a little special to the, errr… table because they dive right into the past year’s sexual assault allegations. We’ve already heard and read so much about this, but it’s incredibly interesting to hear the thoughts of some of these top actresses. Jessica Chastain has been especially active of late, even providing tips for how to negotiate equal pay and even recently helped Octavia Spencer get FIVE TIMES what she was going to get paid for a role. When you hear what she says about co-starts getting paid the same or more for less work, and how women get “what’s left” it’s pretty clear that something needs to be done. Roundtables are usually around an hour long, so save this for when you can run it in the background or can just relax on the couch and watch (some interesting info does pop up on the screen here and there). This video is important because of what it discusses, but as said before these chats can be incredibly interesting to watch, so if you like what you see, go check out the channel and watch the latest Directors and Actors roundtable as well, there’s a lot in the archive too. I hope some of you out there enjoy these as much as I do, and if you do, let me know!